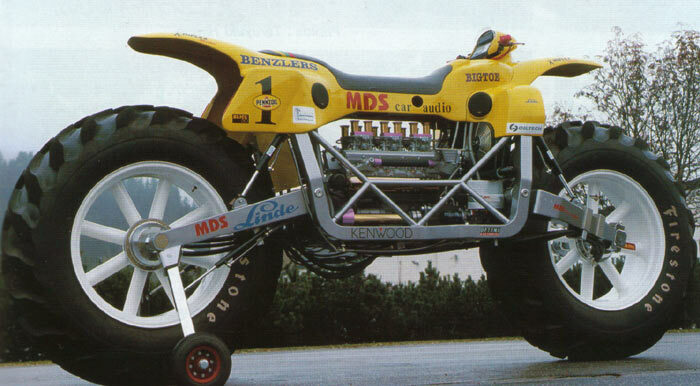 Most of you know about Big Foot, a huge 4WD Monster Truck that crushes cars. 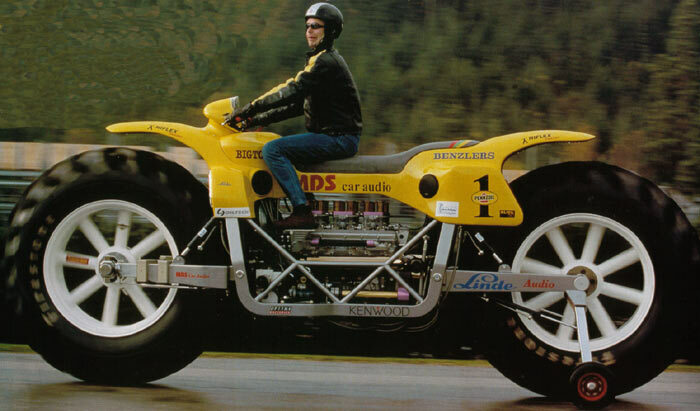 Now we have Big Toe, the largest motorcycle in the world. It is 2.3 meters high or 7.5 feet. Big Toe is eight times the size of a full sized sport bike and four times the size of a Honda Gold Wing. 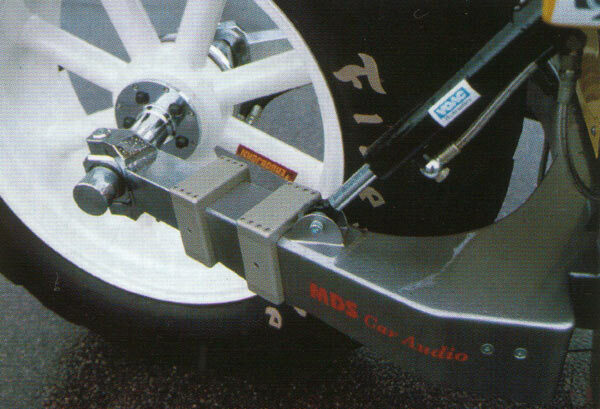 It weighs in at a hefty 1645kg. 2.3 meters in height and 5 meters long. A custom hydraulic suspension was necessary and tiny little support ( training ) wheels to keep it upright. 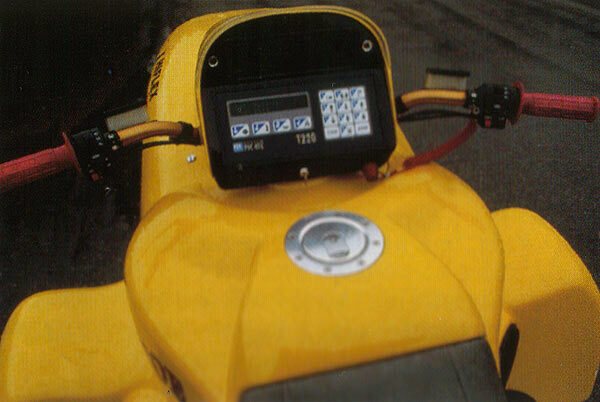 The control panel handles the start up of the bike and the 500W 4 way speaker sound system with CD player. The bike has a top speed of 100 km/h or about 62mph. Big Toe is not really designed for cruising at high speeds and is better suited for 50km/h short runs due to it's massive size. It's more of a show bike than a street bike. The man responsible for this bike, Tom Wiberg of Sweden. 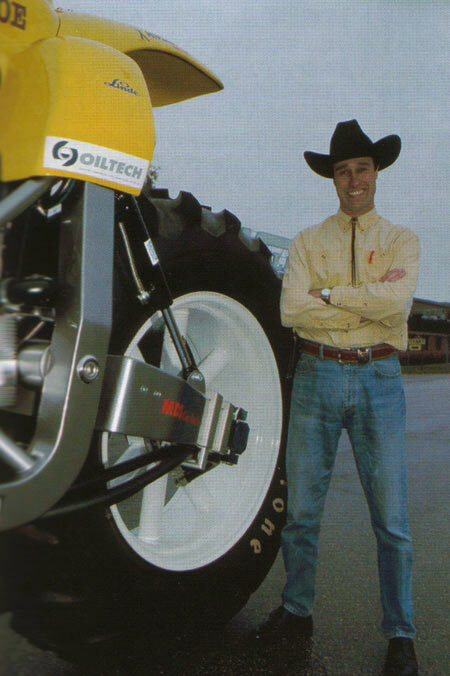 He designed and built all the parts himself with help from his sponsors. It took about six years and over 3,000 man hours to complete the bike. Total cost was 80,000 US Dollars. 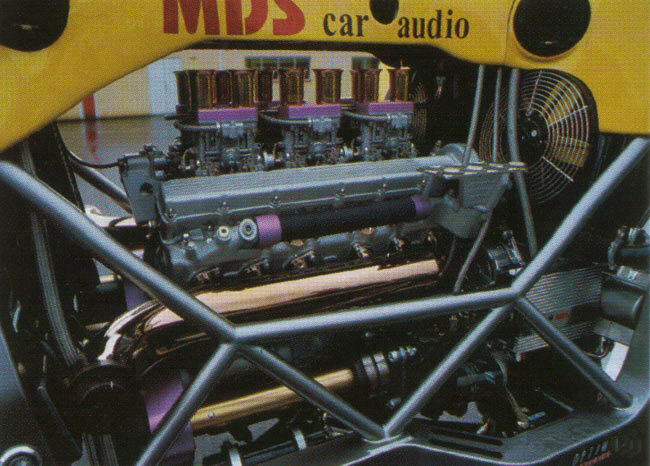 Big Toe is powered by a 1975 Vintage Type E Jaguar SOHC 2 valve 60 degree 300HP 5.3L 12cylinder engine. 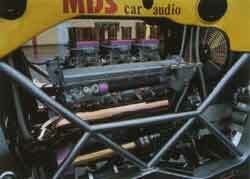 Intake comes from 45mm twin choke Weber carburetors and a custom stainless muffler system handles the exhaust. 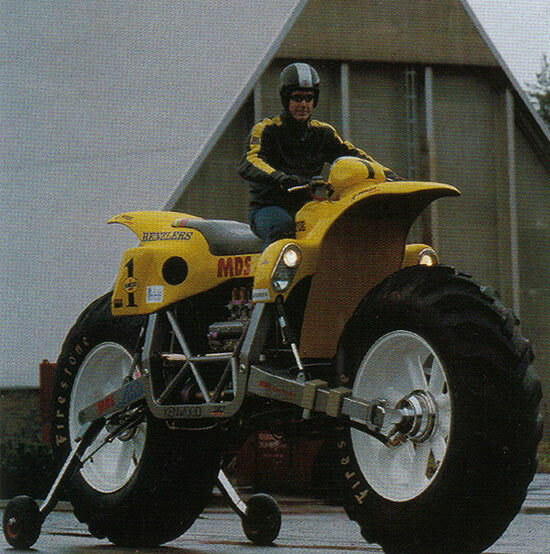 The bike is listed in the Guinness Book of World records as the tallest driveable motorcycle in the world. If you go to the www.guinnessrecords.com Website you can download a short video of the bike in action, check out the technology section, then click on bikes and motorbikes.